New item in original packaging. 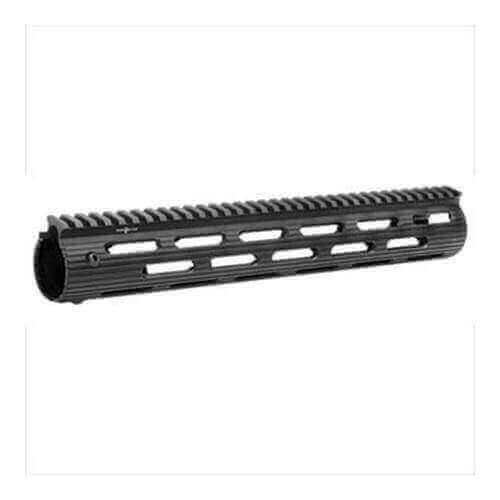 Troy VTAC Alpha Rail 13″ – Black – Free Float Handguard. The VTAC Alpha Rail is Troy Industries latest version of the extremely popular VTAC Extreme rail that was designed specifically for Kyle Lamb of Viking Tactics. Kyle is known worldwide ad one of the best tactical shooters and trainers in the industry. The VTAC Alpha Rail is a one-piece, free floating modular rail for M4 & M16 systems. Based off the Troy Alpha Rail it features slotted cooling holes for enhanced heat dispersion. The rail is easy to install and utilizes the standard factory barrel nut, eatures an uninterrupted top M1913 rail that allows the mounting of optics and backup iron sights. This system also includes three smaller rail segments that can be added to the rail where desired for unlimited mounting options.